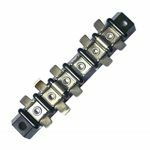 Does you next project require a buss feed? 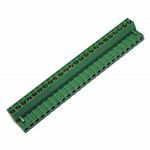 Terminal and barrier strips are great when you need to supply power to many different items at one time. 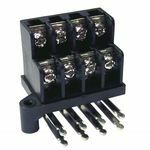 They are also very good for transitioning from a wired terminal to a spade or fork terminal. 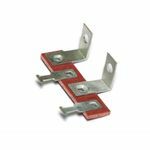 We provide a large assortment of terminal and barrier strips to include types with solder lug terminals and screw terminals; in double or single row configurations. 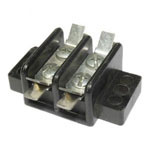 If you need Ring, Fork, Spade or Push-On terminals for these we have a nice selection in our "Crimp Terminal" category. 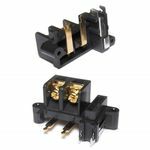 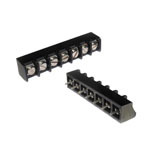 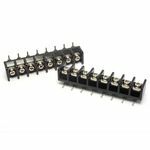 2 Position Dual Row Barrier Strip for 22AWG or smaller wire. 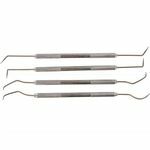 Length: 1" Thickness: 1/4" Width: 9/16"